How many beginner developers are out there wondering how to do the most basic things we take for granted? I’ve been to all of the CF Summits. And I intend to keep going as long as I’m able. I find it to be insightful, motivating, and totally worth the investment. That being said, I live in Vegas, so many of these years I didn’t have to hassle with transportation or lodging, making it an even greater value. But seriously… if you’ve ever been on the fence, go. It’s a great time and Adobe does a great job. Tell your employer to foot the bill as a professional development cost and team building exercise. It’s worth the investment. Many of the sessions at CF Summit can be advanced. Adobe tries to vary the content enough to keep it relevant and modern. I have attended sessions where I’ve looked around the room and seen glassy eyes all over the place as the presentation goes way beyond what you can reasonably cover in an hour. And I mean no offence to the presenters themselves. They are experts in their fields and they bring knowledge and experience in the subject matters being discussed that are invaluable. The issue I’ve recognized is that even though a session sounds interesting, and may be something I want to learn more about, the capacity of the audience to absorb may not be enough to keep up with the presentation. Also, many times I feel that the presentations assume that you have advanced knowledge and experience in ColdFusion already. 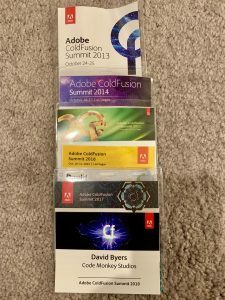 In my previous article My First Time I talked about how my learning of ColdFusion was based on necessity. I had a specific goal that I needed to accomplish and I turned to ColdFusion as the solution. It makes me wonder how many other people out there are simply trying to solve basic problems and feel like they need a masters in computer science to be able to do so. ColdFusion solves so many of these problems. Interacting with various web technologies; PDF integration, FTP, making HTTP calls, interacting with email, creating and consuming APIs… the list goes on and on. Anyone getting started without knowledge beyond basic HTML or CSS could easily get mired in the overwhelming possibilities of solutions that exist. As such, I feel that what the conference needs is a ColdFusion 101 for beginners and people who aren’t as versed in ColdFusion or other web based technologies. This should probably be a pre-conference workshop. An all day session that starts with the basics of explaining how ColdFusion works on the server level; how it parses CFML into Java class files to act as page handlers. How it runs on top of Tomcat. How <cfoutput> parses the commands within it. These are all things that at one point or another none of us knew. How many first time developers are out there who know how to build web pages, but don’t know how to do the rapid application development we all love? The goal of this session should be to get people started in ColdFusion at the ground level. To introduce new developers to the language. To grow the developer base by making ColdFusion a developers first language; not necessarily a language they learn later on. There are many ways to grow the community of ColdFusion developers. One way is to take a developer who knows ECMA script based languages and teach them ColdFusion. But another is to plant new seeds… to take potential developers and start them off using ColdFusion. The conference needs to address this critical market. 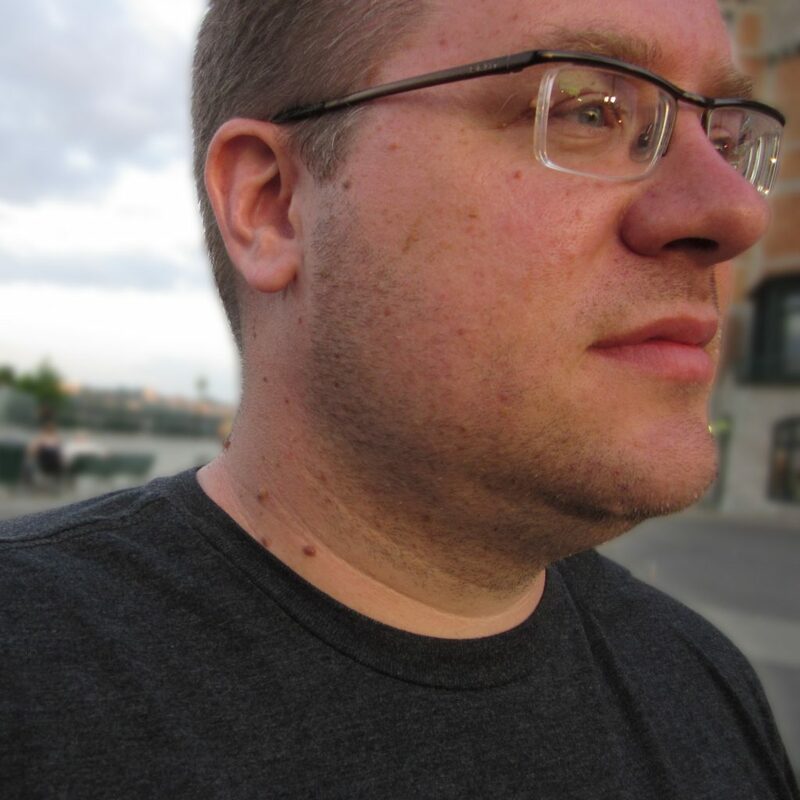 I think the investment in trying to reach new developers would be worth it for the community at large. I think I see a similar need. It has been a long, long time since I started with ColdFusion. I was introduced to <cfinclude> and I think I had a ball for a month before I started to looking into other things. I have been doing a lot of video tutorials lately, but they have targeting a more intermediate user. I look at the top menu on this site, and I see getting started. I click on it, and oh my. If was just starting I would be really confused as to what they are talking about. Agreed! There are new developers out there. I’d love to see a program catering to someone who is starting off on the ground floor. I know for myself I try to do an entry level talk each year, and try to push adobe to make sure there are entry level talks. I think a big issue is in our community (and i’m sure in others) we have a lot of 9-5ers that go in do their work and go home and don’t try to learn. I have met people and also heard stories of people that go to conferences or training because their company paid for it, not because they cared to be there. In our community we need to find a way to get those type of people more engaged…i don’t know how to do that…a 101 session sounds great, but I have a feeling that the people that need it most won’t go to it…I think we need to keep having webinars, cfmeetups, entry level sessions, and we need to continue to blog about basic CFML features and try to reach out to more of the community, either through user groups, or via adobe and their onsite visits. we need to get the 9-5ers/5 tagers whatever you want to call them to realize that coldfusion is simple to build stuff, but it is also more powerful than they might know and get them to see some of the power and get them excited…not sure how to do that. I am glad you are blogging about this concept and I hope more people make comments like me.